Creeping unseen in the subterranean labyrinth beneath Goblin-town, Gollum was a nameless horror, preying upon Goblin whelps straying too near his cold, black lake. 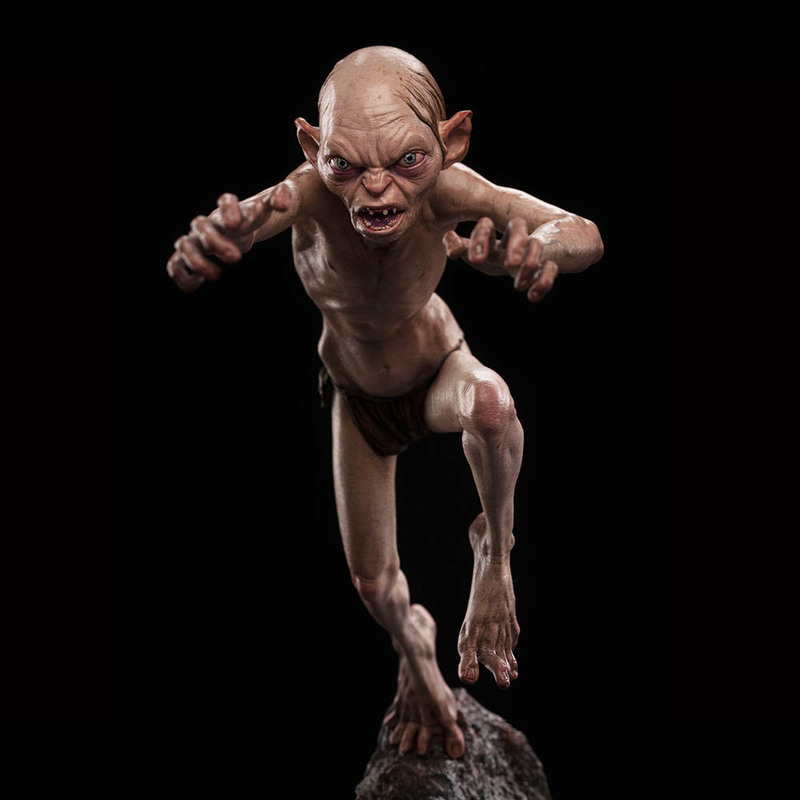 Wearing his magical Ring Gollum was the lord of his lonely underground fiefdom, invisible to rapacious Goblin hordes. For almost as long as he could remember he had dwelt here, alone with his Precious in the dark, his pitiful life stretched by the power of the Ring, until the day Bilbo Baggins stumbled into his world. Lost and bewildered, the Hobbit had escaped death at the hands of his Goblin captors only to blunder into an equally unthinkable peril when Gollum lays eyes upon him at the shore of the underground lake. 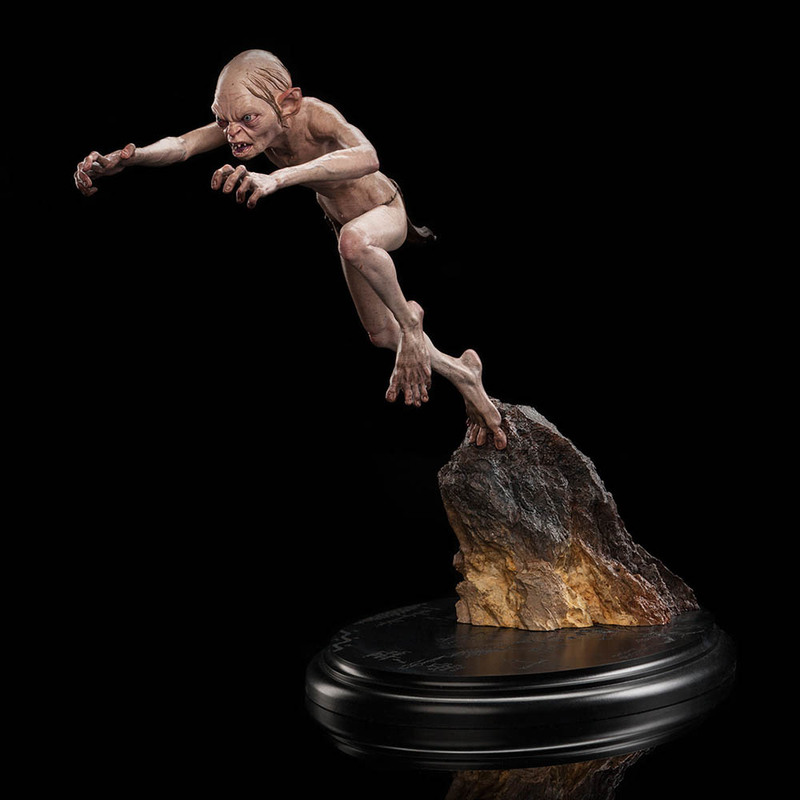 But as plump and tender as he might appear, Bilbo Baggins is not the easy meal Gollum is expecting. Kindling distant memories, the Hobbit engages him in a game of riddles, the prize being Bilbo's life. 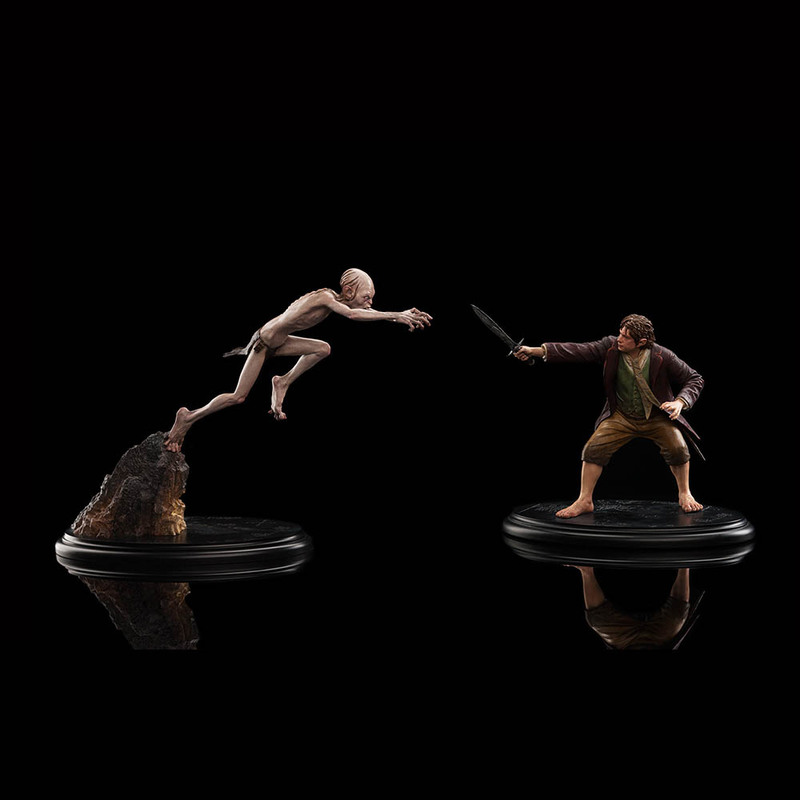 Only when Baggins poses his winning stumper does Gollum come to truly appreciate that he has lost far more than just a game of riddles...and his rage and despair is terrible. 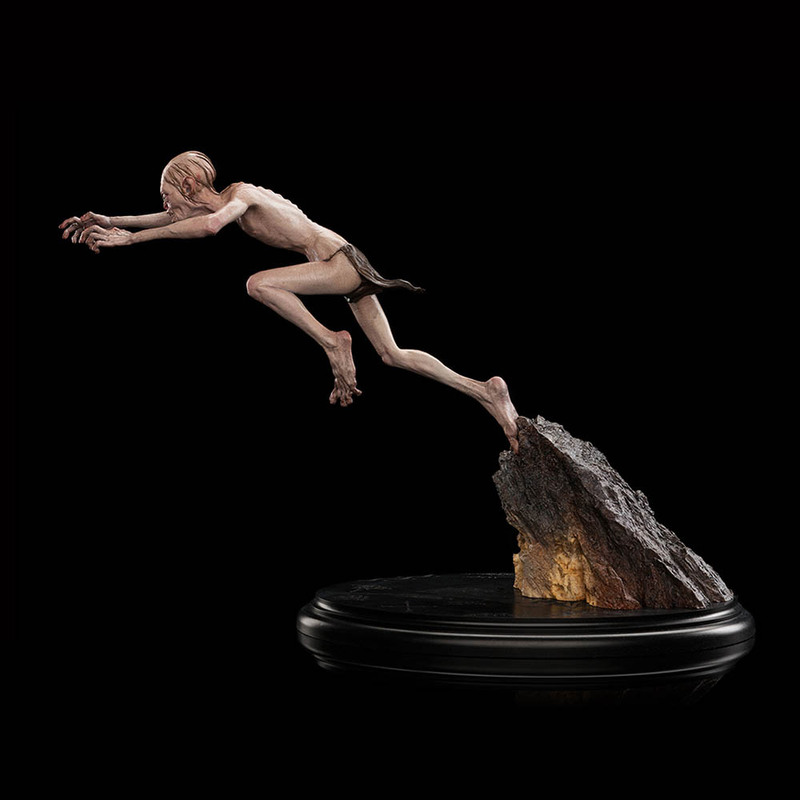 Gollum Enraged was sculpted by Ben Mauro and Greg Tozer, and has been designed as a companion to our Bilbo Baggins statue (available separately).